Avalanches, snowmen, a hungry wolf…and more! When Bear wakes up early from her hibernation, she decides to build a snowman. Her grumpy neighbor, Rabbit, decides to build an even better one. Rabbit & Bear: Rabbit’s Bad Habits is full of laugh-out-loud moments and chronicles the forming of an unlikely friendship. With illustrations throughout, this chapter book is perfect for middle grade readers and is sure to become a fun favorite on any kid’s bookshelf. A laugh-out-loud celebration of friendship, forest life...and poo. This beginning chapter book is delightfully weird, hilarious, and tender-hearted! 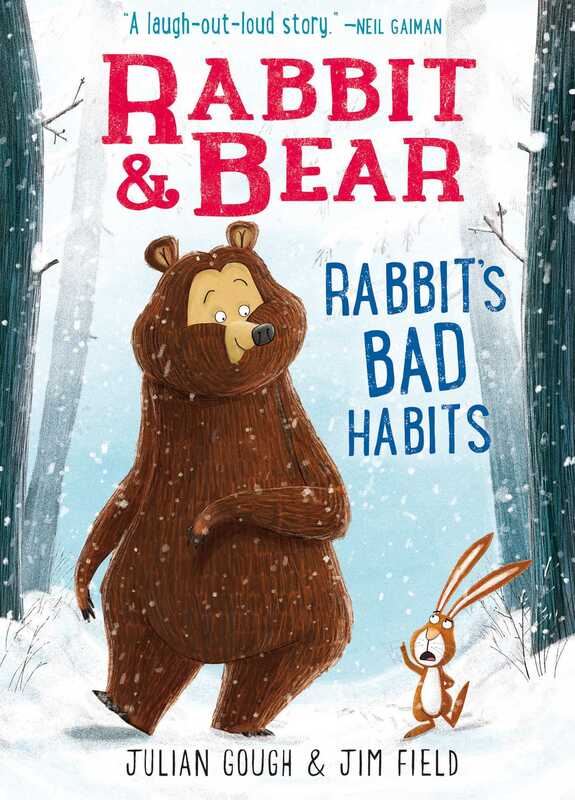 Rabbit's Bad Habits is a breath of fresh air in children’s fiction, a laugh-out-loud story of rabbit and wolf and bear, of avalanches and snowmen. The sort of story that makes you want to send your children to bed early, so you can read it to them. Rabbit's Bad Habits should become an instant modern classic. Stands shoulder to shoulder with Pooh and Toad. Cheeky, delightful and hilarious. Whether it’s the grisly truth about leporidae eating their poo, the hilarious, touching dynamic between big, gentle Bear and cantankerous, selfish—but not irredeemable—Rabbit, or Jim Field’s blue-white, deft and atmospheric images, there’s much to love in this splendid little book. A delight, with super illustrations and a lovely story about friendship.